Don't Forgot About The Newborn Specialist Training! Don’t forget the Advanced Newborn Care Specialist Intensive Training Weekend September 9 – 11, 2016 at the Embassy Suites Dulles Airport in Herndon, VA, located just outside Washington, DC. This a great way for Miami Newborn Specialists to gain some specific training in working with newborns. In order to operate at the top of your game and be in demand, you must be knowledgeable about the current trends in apps and technology, evidence based knowledge and emerging trends in the Newborn Care industry. Special pricing is still available. Click here for registration details! TLC Family Care has experienced Newborn Specialists available to help with your newborn needs. Call us at 305-256-5905 or visit our website for more information. Summertime safety is a big concern for most parents, simply because many children get long breaks from school and are either home all day or with a caregiver. During the school year, it’s comforting to know your child is safe in a classroom with a competent teacher, but during summer months, it can be difficult not to worry. When your child has special needs, that worry is magnified tenfold. 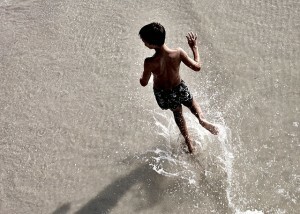 It takes a little planning, but it is possible to have a relatively stress-free summer along with your child. With some preparation, communication, and careful planning, you can figure out a way for your child to be safe and have fun at the same time. Here are some of the best tips. If your child will be with a nanny during the day, it’s important to maintain communication with them at all times and let them know what to expect at the beginning of each day. If they’ll be taking your child outside the home–to a park or playground, for instance–you might consider making a visit there first to check out the equipment and to see what sort of surfaces there are. Playgrounds with mulch are much preferable to those with gravel or concrete. Keep a contact list for the nanny with detailed instructions on what they need to tell a first responder about your child’s medical needs should an accident occur. This includes any allergies, your child’s official diagnosis, and any medications they are taking. Make sure to communicate to the nanny that being well-rested is important when they are spending time with your child. The benefits of a good night’s sleep are invaluable, whereas too little sleep could negatively affect their ability to function rationally and quickly. Teaching your child how to be safe outside is imperative for summer months, and this includes water and pedestrian safety. Educating them about crosswalks, how to look both ways for vehicles, holding hands before crossing, and staying away from parked cars will go a long way in giving you peace of mind when they aren’t with you. For water safety, consider enrolling your child in a swim class. Many children on the autism spectrum love the feel of water, so it’s especially important to teach your child how to stay safe when swimming. Always drain kids’ pools after use and consider installing motion sensors near in-ground or large above-ground pools if you have a child who wanders. Always have your child use a helmet and knee/elbow pads when they are using any equipment that moves, such as a bike, scooter, or roller skates. Make sure the helmet and pads fit well and are in good shape. Many children with special needs have a decreased tolerance for heat, so it’s important to follow the weather reports and prepare. Dehydration can occur quickly and with little warning, but some signs to look for are headache, nausea, cramps, dry mouth, irritability, fatigue, and few trips to the bathroom. Urine will be dark in color. If your child has any of these symptoms, get them into a cool, shady spot immediately and give them water to drink. A cool washcloth on the back of the neck can help if one is available. Summer can bring lots of things to think about, but with a little bit of planning and good communication, you can make it a fun time for everyone involved. Thank you to our guest writer Sean Morris! Sean Morris is a former social worker turned stay-at-home dad. He knows what it’s like to juggle family and career. He did it for years until deciding to become a stay-at-home dad after the birth of his son. Though he loved his career in social work, he has found this additional time with his kids to be the most rewarding experience of his life. He began writing for LearnFit.org to share his experiences and to help guide anyone struggling to find the best path for their life, career, and/or family. Coming home with a new baby or babies will probably be the most beautiful and the most hectic time you’ve ever known. It can be exhausting and overwhelming even for the most seasoned of parents. Any family welcoming a new baby can use a helping hand. 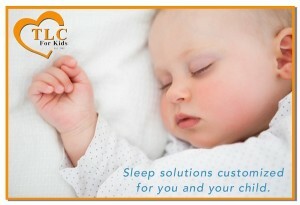 TLC for Kids Newborn Care Specialists can help! Take a minute to read about some of the experienced caregivers we have on call ready to help you with your newborn care needs. Give us a call at 302-256-5905 to reserve your caregiver today. Mary-Ann: Mary-Ann has been a newborn care specialist in Miami for the past 7 years. She educates new parents on all aspects of newborn care, from breast feeding to swaddling. Mary-Ann knows how overwhelming it can feel to have a new baby in the home. She is soothing and she’s always looking for ways to support postpartum mothers both emotionally and physically. Our agency loves her, and our clients love her! She is calm and amazingly adaptable to all situations. Mary-Ann has also been a nanny and adult companion for many families. One of her references even refers to her as an Angel! Janis: Janis is a certified Post-partum Doula, a mother and young grandmother who considers caring for newborns and children an honor. she is She is available to care for newborns and provide newborn overnights for families in Coral Gables, Pinecrest, Palmetto Bay, and Kendall. Gertrudis: Gertrudis has over 10 years of experience caring for infants and children of all ages. She has also had experience with multiples and preemies. Originally from Paraguay, Gertrudis is bilingual and speaks fluent English and Spanish. She loves working with newborns and spends time taking classes and researching the latest methods in supporting new parents with their infants. Gertrudis is married and has 2 children, ages 10 and 12. Antonine: Besides being a seasoned, experienced nanny for over 18 years and a favorite babysitter in Miami Hotels, Antonine, who loves to further her education, recently became trained as Newborn Care Specialist. She is is also CPR certified and available for days, Evenings, week-ends and overnights. Amber: Amber is a Certified Birth and Postpartum Doula as well as a mother of 2. She is committed to educating parents and helping them with the transition into parenthood. She is a strong advocate of parent infant bonding and will support mother’s in breastfeeding. Gloria B: Gloria’s calling is working with babies and their parents. Gloria has over 15 years of expertise as an Infant Care Specialist. She has extensive experience caring for infants and toddlers, including multiples and preemies. She also has experience in sleep coaching, lactation education, and is fluent in English, Spanish, and American sign Language. Dawna: Dawna is a certified Birth Doula and Midwife Assistant providing education, advocacy, and support to expecting families during pregnancy, birth and the immediate postpartum period. Being a mother herself, her passion and experience surrounding birth, parenting, and the newborn are key ingredients to help keeping a new family confident, and on track during their transformation into parenthood. Carmen: Carmen is a career nanny of 25 years specializing in newborns and toddlers. She is a certified Doula, Newborn Sleep Trainer and a Certified Nursing Assistant. She is loving, patient and extremely experienced in caring for newborns. She consider the safety, education, and privacy of the families she works for to be of utmost importance. Juneevan: Juneevan puts the C in Caregiver. Besides being an experienced live-in Baby nurse and nanny for over 40 years she is also a great caregiver for the mom. She has worked with children aged from birth to preteen. She is also a Certified Nursing Assistant and has worked in assisted living and adult day care facilities as well. Juneevan is experienced in all aspects of care from swaddling babies to creative play for toddlers and companionship for the elderly. Kethrina: Kethrina has been working with children for many years and enjoys every moment of it. She completed coursework in childcare and hopes to pursue a degree in Early Childhood Education. Kethrina is also the Senior teacher and leader of the Children’s Ministry at her church. A nanny is a caregiver who comes to your home and cares for your children. When you hire a nanny, your children will receive one-on-one attention from an experienced caregiver in their own home environment. 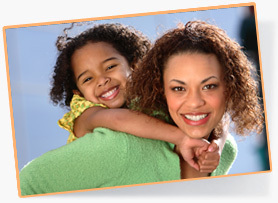 We’ve listed below the different types of nannies and the placements that TLC for Kids offers. The live-out caregiver typically comes to your home for a 9-10-hour day, 8 a.m. to 5 or 6 p.m., five days a week. You and your live-out caregiver will arrange a set weekly schedule, with weekend care arranged separately. It is the responsibility of the nanny to provide her own transportation to and from your home. The beauty of this arrangement is that your nanny will have a life of her own when she leaves her job. This allows her to relax and rejuvenate before her morning return. The live-out nanny may cost a little more, but she is generally more independent and fulfilled with her personal life outside of the job. Live-out nannies consist of full-time, part-time, after-school and summer nannies! Live-in caregivers are generally on duty 10-12 hours, day five days a week, and an occasional evening. They eat meals with the family and share in the cooking and cleaning up duties. Be assured that nannies will expect most nights and weekends off unless previously arranged. Most live in nannies require a private living space, use of the familiy’s car, and specific hours on and off duty. You will also need to discuss visitors for the nanny and any quiet times or a curfew. Both you and your nanny may have to make concessions. It is your house and you have the right to set reasonable rules. Live in nannies can help out with emergency babysitting and depending on your personal preference can become a big part of the family. Keep in mind that your nanny does have a life beyond your job and she is not at your beck and call. While it may seem convenient and less expensive to hire a live in nanny it is harder to keep the relationship professional. It may be difficult to spending so much time together under one roof. A less talked-about yet more economical alternative is shared care. This situation involves one nanny and two neighboring families. The nanny works in one home and might spend part of the day at the other home. The nanny cares for both families’ children in one home. Before you and your friend or neighbor decide to share a nanny, discuss and agree upon a philosophy for child care. You need to discuss exactly what each of you will want the caregiver to do on a day-to-day basis. And realize when hiring this nanny that she must be able to handle all types of personalities in order to please two families at once. Mommy Nanny is a candidate who has a child of similar age to your child. She would bring her child to your home and watch both at the same time. You will find that if it is a good fit, the Mommy Nanny can be an excellent solution. She will have child care and your child will also have a playmate. Mommy Nannies are typically paid less than traditional nannies. TLC for Kids can help you find the right nanny for your family. Call our Placement Director, Debbie Hipp, at 314-725-5660 today to discuss your child care needs. 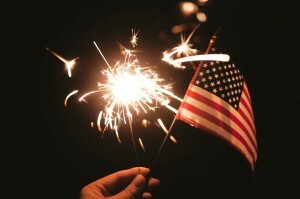 Celebrating the Fourth of July is one of my favorite holidays. Growing up I enjoyed spending time with my family watching the fireworks. As I got older, and had kids of my own, I quickly discovered that not all kids enjoy the fireworks as much as I did. Fireworks can be too loud for some kids. And, being in a large crowd can be too overwhelming for kids who have anxiety. We found it easier to watch the show from a safe distance so that it wasn’t too loud or crowded for my kids. Another idea is to hire a sitter for the night. The babysitter can stay back and the parents can enjoy the fireworks with siblings or own their own. If you need a sitter this holiday weekend contact TLC for Kids. We have screened babysitters who can come to the home or to the hotel.